There once lived an artist who really liked hats. He had hundreds of hats—can YOU believe THAT? 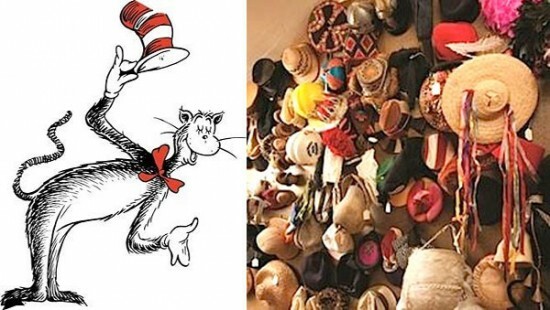 Throughout his lifetime, Theodor Seuss Geisel, better known as Dr. Seuss, quietly kept a hat collection in a secret closet behind a bookcase at his home in San Diego, California. 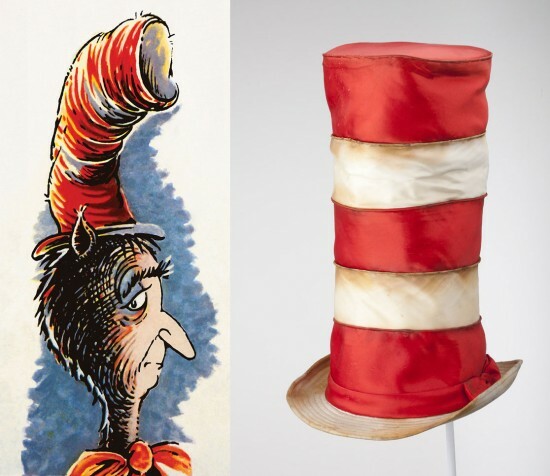 Now, for the first time, 26 of Dr. Seuss’ hundreds of hats are on display in a traveling exhibition called Hats off to Dr. Seuss! I stopped by Dennis Rae Fine Art on Fisherman’s Wharf in San Francisco over the weekend to check it out. The collection is behind glass with prominent “no photos allowed” signage posted everywhere, so while I can’t provide you with original photos, I can spin you a little story. There are hats from Japan, there are hats from Southeast Asia, and there are hats from across Europe. There’s a sombrero in there that adorned the tequila bottle he got in Mexico. 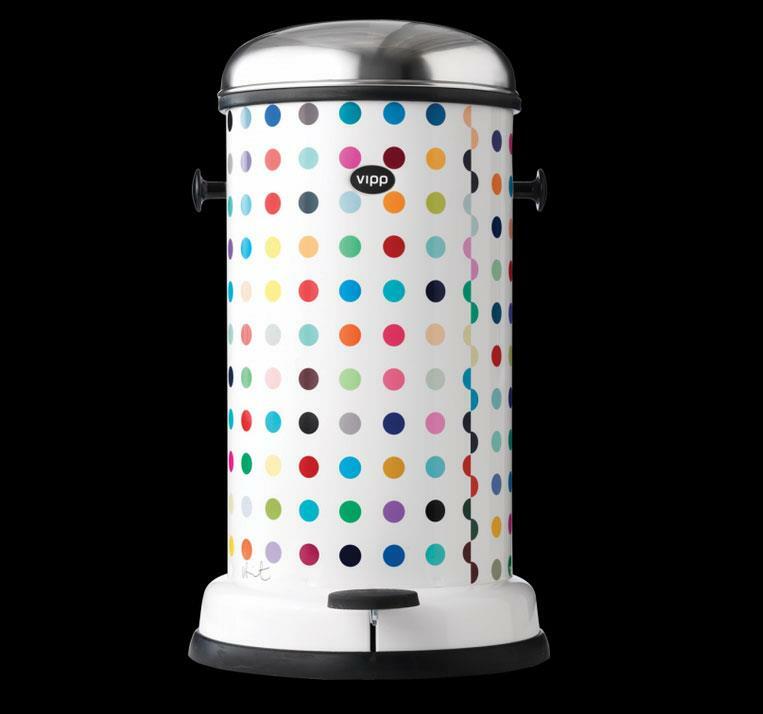 It’s a very worldly collection. Far beyond their functionality, hats were the accent—the exclamation point—on a person’s behavior. They could entertain, delight and embellish, even tease and taunt, but most of all, hats helped Dr. Seuss deliver a world of life-changing inspiration. 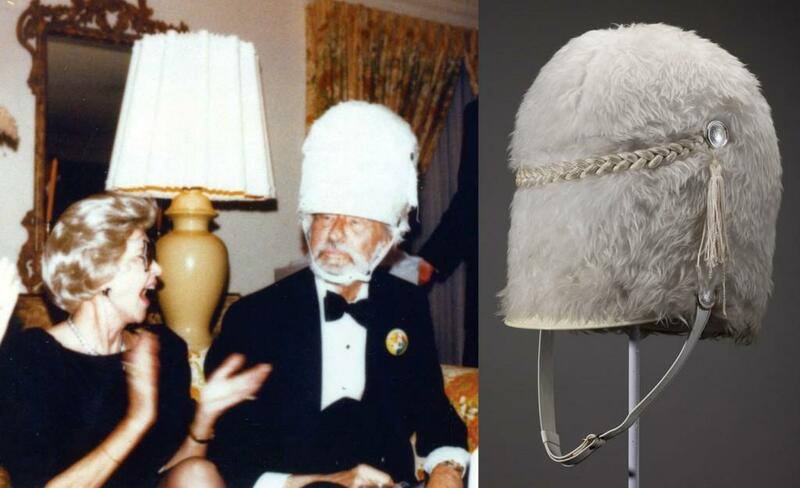 Seuss used the hats in his paintings, ad work, books and parties. Ted has another peculiar hobby—that of collecting hats of every description. Why, he must have several hundred and he is using them as the foundation of his next book. I have seen him put on an impromptu show for guests, using the hats as costumes. 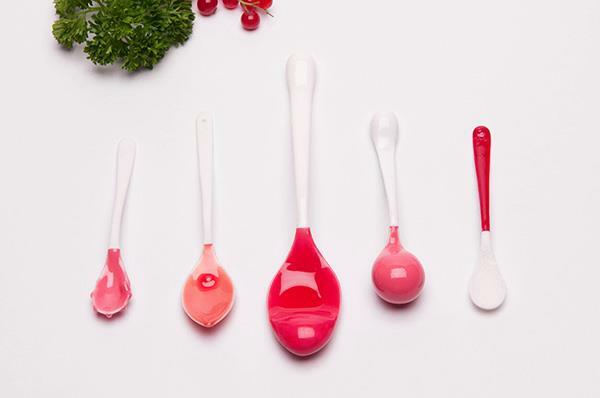 He has kept a whole party in stitches just by making up a play with kitchen knives and spoons for the actors. 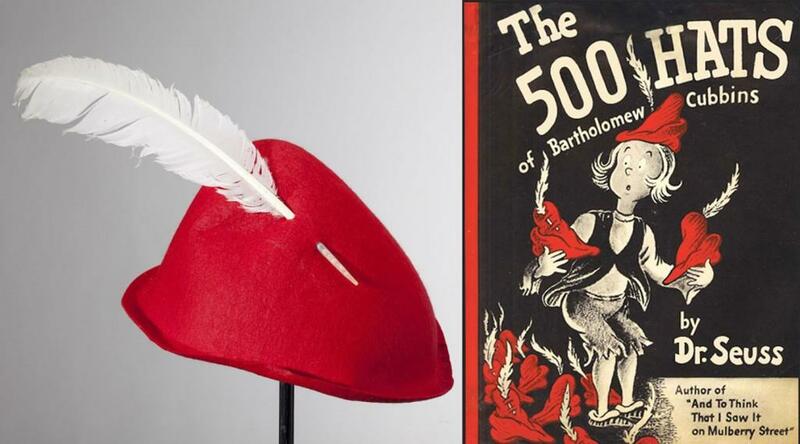 That “next book” became The 500 Hats of Bartholomew Cubbins. 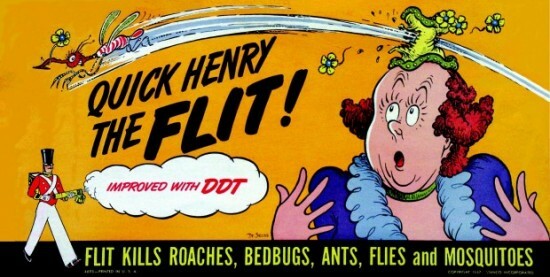 It was the 2nd of Dr. Seuss’ 44 books, and it’s currently celebrating its 75th anniversary. Dr. Seuss also used hats as a remedy for writer’s block. What I would’ve given to brainstorm words while wearing hats with Dr. Seuss! By putting a hat on a character, Geisel realized he could give that character a lot of personality. In some cases the hat became a punch line. This ad for Flint insecticide helped cement Seuss’ career as a writer and artist. [Hats say] something immediately about a person, whether it’s who that person is, or who that person wants to be. 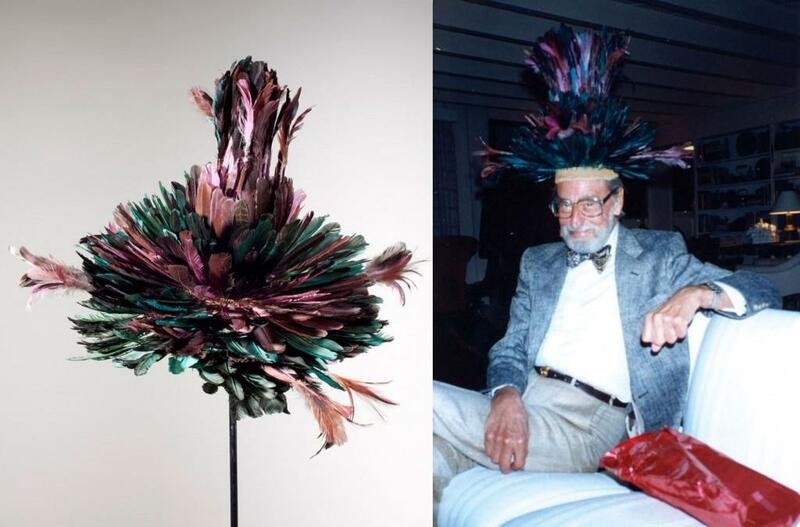 In a lot of his private paintings, Dr. Seuss would paint these images of people in these wild hats, almost as if they were trying to take on a different persona than the one that they actually had. Hats off to Dr. Seuss! is now traveling the country in a specially retrofitted old-fashioned steamer trunk. It’s in San Francisco at Dennis Rae Fine Art (along with many of Dr. Seuss’ secret paintings—sue me, I snapped one pic of this piece I love) through March 31st, after which, it moves on to Texas and the rest of its 16 stops. View the dates and locations here. 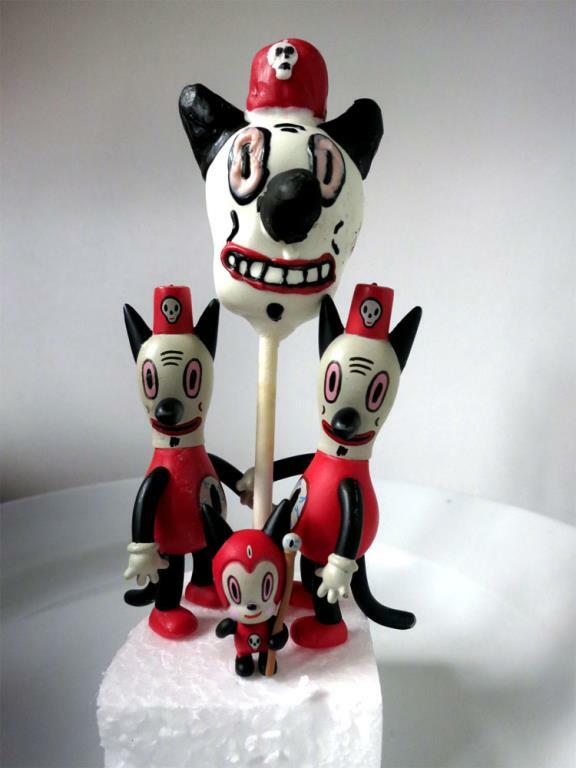 Read a good interview with the curator at Collectors Weekly here. Fascinating! That video is pretty awesome, too.